Are you experiencing electrical or electronic issues in your vehicle? 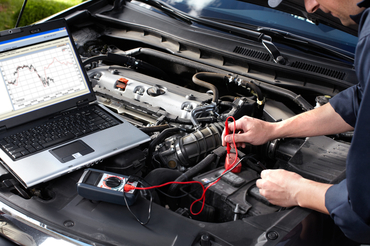 If so our trained technicians can help diagnose all types of electronic issues related to your car, truck or van. The electronic and electrical system in your vehicle handles many complex tasks in your vehicle then you may realize, especially in newer vehicles. If the issue is your car is not starting, or the lights on your dashboard are flickering, the problem could be a loose battery connection or perhaps a its time for a new battery. Your automobiles electric system has many components to it that could go wrong. Trust the experts at Eli and Gary's fix any automotive electric problem. From diagnostics to repair our auto electric technicians can handle the job. Call our shop today (781) 321-0880 or stop by. We are open six days a week and located conveniently at the corner of Salem and Beach Streets just a few blocks from route 99 and route 1. Auto electric repair Malden, MA residents can count on.